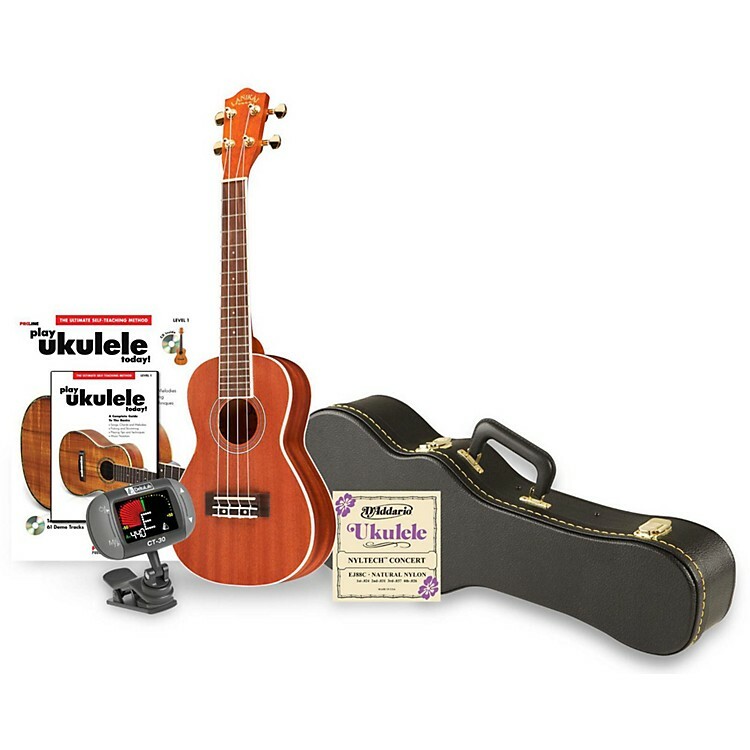 Popular, affordable ukulele with hard case, accessories package. The Lanikai LU22CGC Concert Ukulele is one of their most popular and affordable ukes. Its sweet sound has a pedigree of choice woods and quality construction. The classic ukulele design and beautiful tonewood are improved with the attention to detail that has made Lanikai a preferred name in ukuleles.. The Musician's Gear Concert ukulele case features 5-ply wood construction, a screwed-in neck brace, black plush interior lining, heavy-duty gold hardware, and a black Tolex covering. An interior compartment holds all your accessories. Includes locking latch & key.